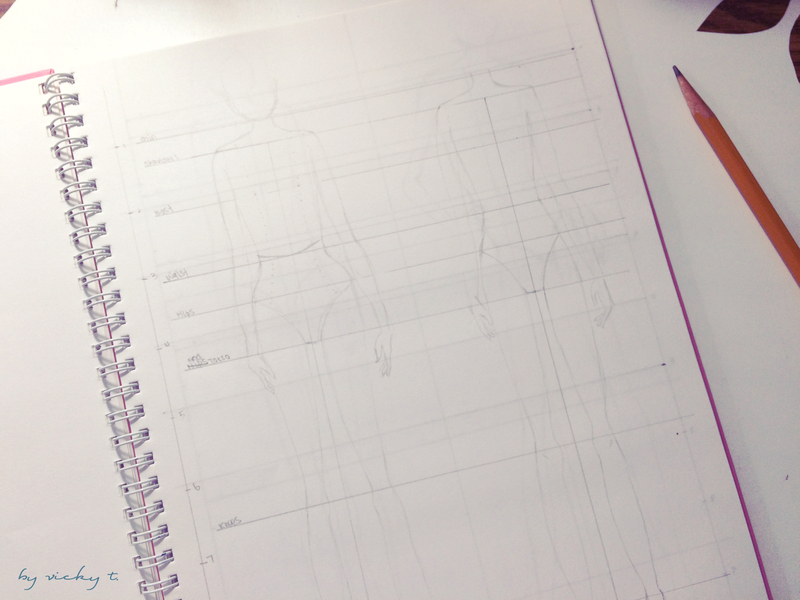 This week I’ve been trying to learn how to drape a dress form. I’ve purchased a book which you could find here. 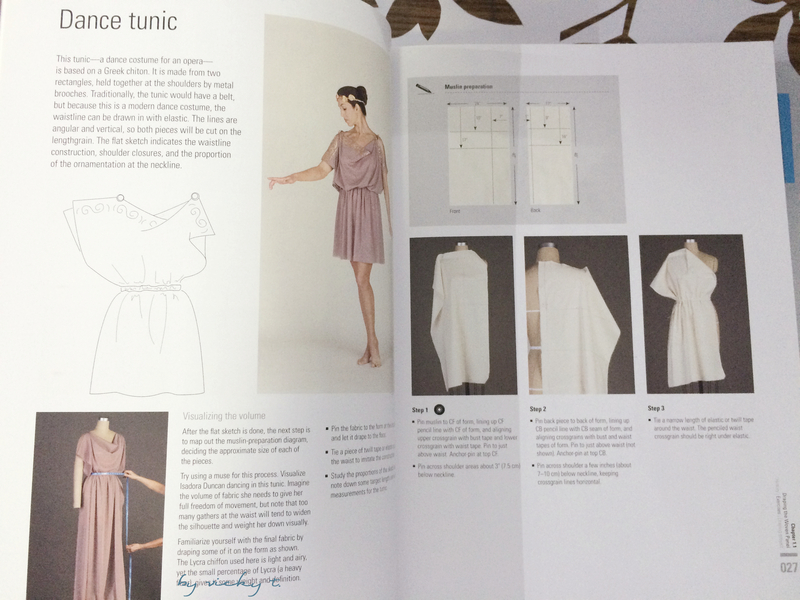 The book is actually quite useful and after looking through it, I decided to try the dance tunic. I didn’t follow the size for the fabric that was given since it looked like the book only draped half of the dress form. I used 2 rectangular fabrics and was successfully drape just like the book. 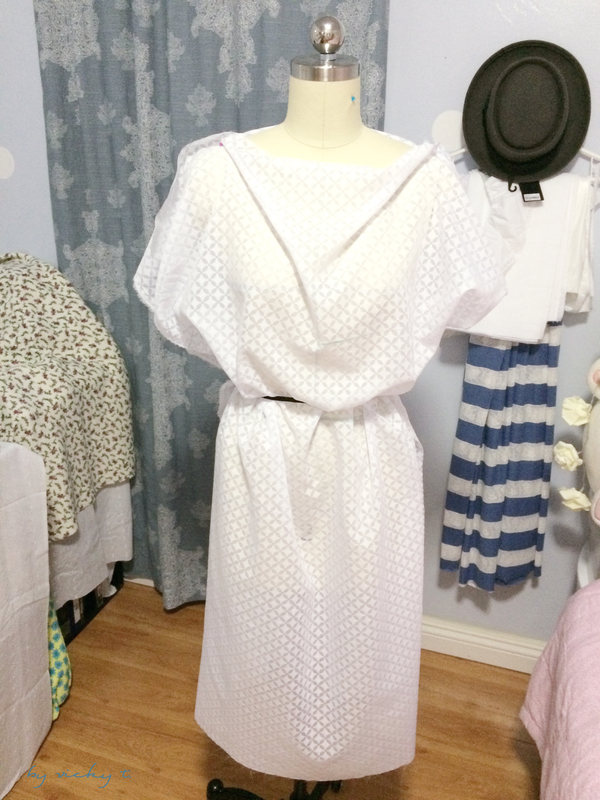 It did come out a bit long but once I start sewing, I’ll adjust the lengths as well. Sorry bad quality shot and please ignore my messy room! 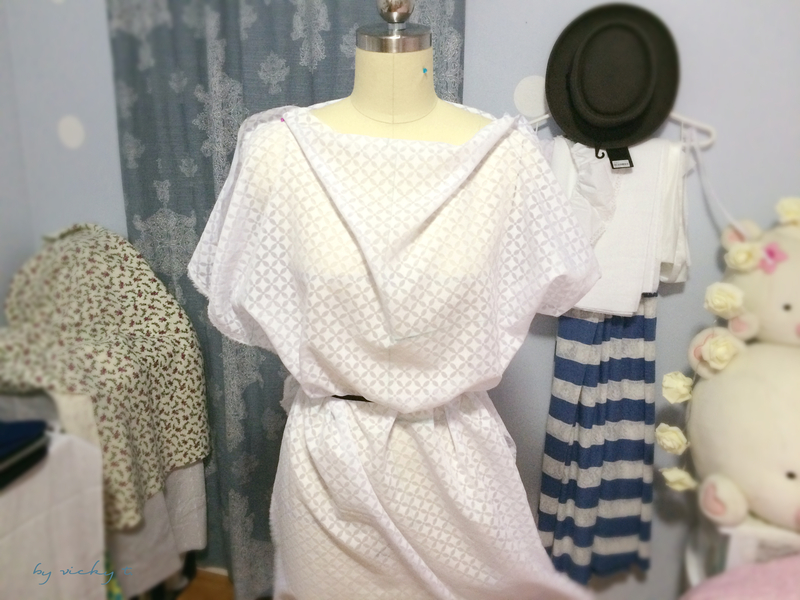 This is a short post but I update again once I have some time to sew the pieces together. The other topic I’ve been trying out is illustration but more on that at a different time. 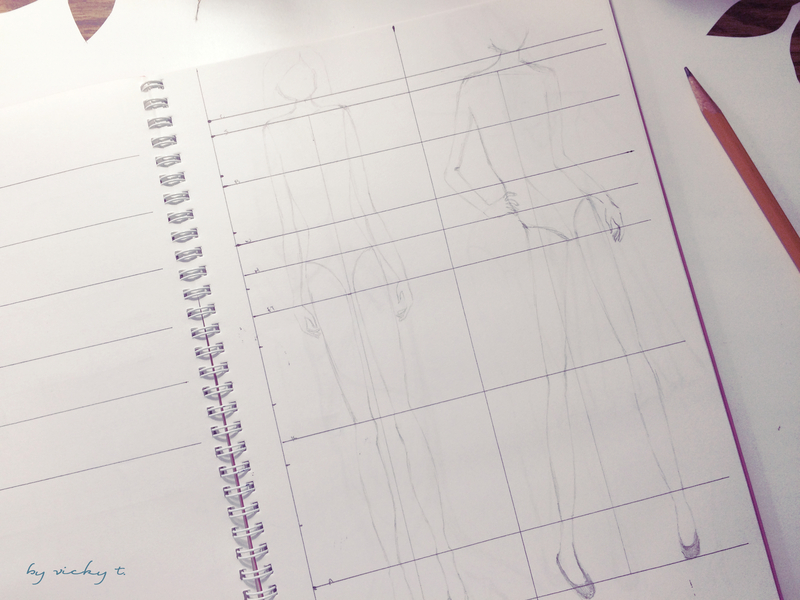 Your drawings look good and so is the model you made, keep it up! your drawings are beautiful! 🙂 love your passion for learning! Love your tenacity! Keep it up Vicky!